Bad news coffee drinkers. Despite some findings that coffee does not affect health adversely, a survey of 1000 coffee drinkers and non coffee drinkers who own life insurance, commissioned by Life Ant, has found that on average, the coffee drinkers are paying more for their life insurance than their non coffee drinking counterparts. The survey found that the average coffee drinkers pay almost a staggering 20% more money for equivalent life insurance coverage. We found that the mean life insurance cost for a coffee drinker is $19.24 for their term coverage. Non coffee drinkers are paying $15.98 for the equivalent coverage. The survey relied on self reporting, and covered 500 life insurance owners who drank coffee at the time of their application, and 500 who did not. To avoid the effect that different types of life insurance have on price, the survey used owners of term life insurance (the least expensive and most widely owned type). We also limited the scope to policies with under $500,000 of death benefit, and the difference in average death benefit between the coffee drinkers and non drinking groups was not statistically significant. First a primer on life insurance underwriting. Underwriting is the part of the application process that determines your health rating. A higher health rating means that you pay less for life insurance, and a lower one means that you will pay more (sometimes significantly more). Underwriters use a variety of sources of information to determine your health rating including medical records, past military service, and even driving records, but the most important piece of information comes from your paramedical exam. A paramedical exam is an exam that takes place when a life insurance ordered nurse shows up at your residence and takes a number of vital statistics, weighs you, takes a saliva sample, and draws blood. The paramedical exam could be where the trouble lies for coffee drinkers. During a paramedical exam, the examiner will take the blood pressure and the heart rate of the life insurance applicant. Generally speaking, a lower heart rate and lower blood pressure correspond with greater cardiovascular health, and a longer life expectancy. As a result, life insurance companies weight these factors very strongly in their underwriting process for the purposes of determining rate class, and therefore price for the insured person. If you want to avoid taking a paramedical exam it might be possible but we don’t recommend it because your policy will usually be much more expensive than if you pursue normal underwriting practices. 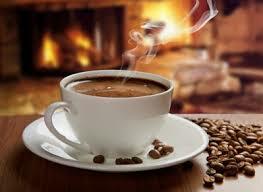 Coffee, and in particular caffeine, is strongly associated with a sharp rise in blood pressure. According to a meta analysis of controlled clinical trials looking at this issue published by the American Heart Association, consumption of coffee is associated with a statistically significant rise in both systolic and diastolic blood pressure for up to 24 hours after consumption. This is not helpful for someone going through life insurance underwriting. Underwriters may also look at cortisol levels in the blood, because this is a marker of stress and higher levels are also associated with greater cardiovascular risk according to a 2005 study. Caffeine have also been shown to increase cortisol release into the bloodstream, according to a study published by the NCBI. If someone drinks coffee or any caffeinated drink anytime during the day before their life insurance exam, chances are that they are going to show a higher heart rate, higher blood pressure, and higher cortisol levels than if they did not drink coffee. This may be causing them to receive on average slightly worse health ratings from underwriting. While this survey does not draw any conclusions as to why, we can speculate at Life Ant that this may be part of the cause. Another reasons may be that coffee drinkers on average are less healthy than non coffee drinkers, but this effect was not accounted for in the survey. If there is a lesson from that it is that if you are going to go through a life insurance paramedical exam, wait until after the exam is over to drink your coffee. Life insurance companies do not account for the physical changes that caffeine temporarily imparts on someone. If you are a coffee drinking, it might just save you a lot of money in the long run to skip the cup of Joe on the morning of your exam.